On 21st December, 2015, Janusz Kahl CEO in SPCleantech met Thomas Klem Andersen from DTU Scion, Science and Technology Park in Copenhagen, DK scion.dk responsible for the Scion Mentor Team. During the meeting involvement of Danish mentors in companies and start-ups facilitated by SPCleantech was discussed. Based on a concept that has been tested for many years at Massachusetts Institute of Technology (MIT) in Boston web.mit.edu, Scion DTU established a mentoring program, which differs from other rograms by not being based on a company with one mentor, but that each company will have a whole team of mentors made available. Scion Mentor Team counts already about 50 mentors, and more than 25 companies, now has a mentor team attached, which provides input, in relation to both business and product development. Scion DTU’s mentor program is designed to create and cultivate rewarding relationships between growth business owners and relevant professionals and business experts. The program targets coaching and skills development towards strategic business for high-tech entrepreneurs. This creates the best conditions for growth in involved companies. Most especially at Scion DTU’s mentor program is that interested startups are attached to a team of mentors. We work with mentor teams when a team of mentors offer an exceptionally high concentration of knowledge and a wealth of different perspectives that can catalyze a company’s development. Each mentoring team is matched with the company in relation to its specific growth challenges. Mentor Teams can extend over among other technical professional, commercial, legal and financial expertise. Mentors in the mentoring program also participate in special mentoring network meetings, where knowledge sharing is going on across the mentor teams. Mentors are using each other to test their mentor practice internally and draw on other experienced mentors experience and ideas – for the benefit of involved business. Technology University of Denmark, DTU dtu.dk has a number of affiliated companies that support the University’s core services. The affiliations constitute one of many points of contact for the business sector. DTU’s affiliated companies operate under market conditions, and are set up as limited companies with their own boards. The affiliations focus on e.g. providing assistance to start-ups; creating development opportunities and facilities for technology-intensive companies; on offering services, and on contributing to an efficient utilization of DTU’s research and innovation activities. 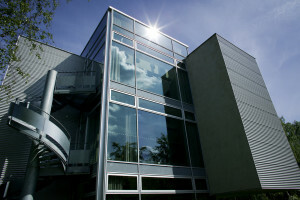 Scion DTU Ltd. sciondtu.dk is Denmark’s first and largest university-based science park. 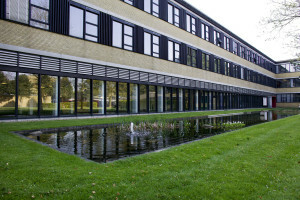 In Hørsholm and on DTU Lyngby Campus, Scion DTU Ltd. accommodates research-intensive companies in the biotech, nanotech, clean-tech, medico, environmental technology, and IT sectors, and offers facilities for all phases ofbusiness growth—from start-up to fully-fledged, commercial research company.